Do You Ride Like Your Mother? “You’re not good enough.” That’s the message. Does it sound any better coming out of you than it did your mother? Maybe your mother was the soul of unconditional love, I hope so. Do you ever think you aren’t good enough all on your own? Is that how you want your horse to see you? I’ve remembered this interview for so long because it illuminated the choice. Both statements were true: the external surface of messy hair and the love she felt internally, in her heart. She chose the tone of her Mother Voice. Ms. Morrison says it’s a small change to show your heart instead of your critical eye. To me it’s more of an acquired skill. It’s not about how much we love horses or our commitment to riding. The truth is a lot of us were taught to see what was wrong because it’s an easier, cheaper way to seem smart. It is always easier to find fault than it is to affirm what is good. 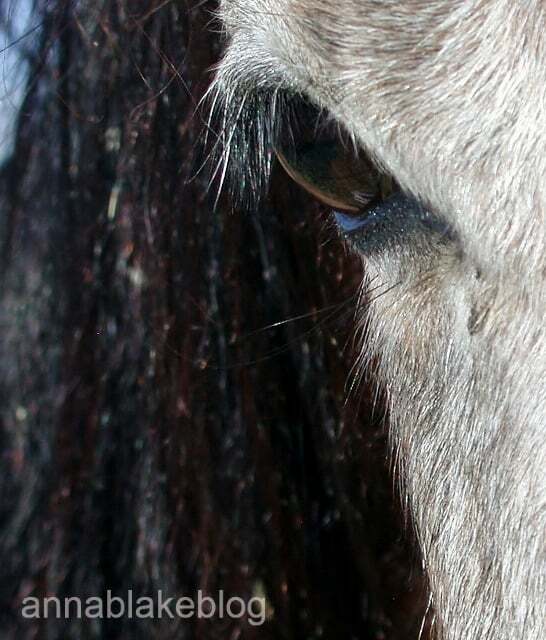 It’s pretty common for a client (trainer, vet, farrier) to give me the eyebrow squint for rewarding a horse with a good boy before he has done anything. When did we get so stingy with encouragement? What is the resistance to encouraging try instead of standing back doubting? Do you think being positive is acceptable for a trail horse, but not a performance horse? Is it okay for a lower level dressage horse, but do upper level movements require more enforcement because the work is harder? No. No again. If you want your horse to advance in training, you have to advance as a rider. Some of that is technique and some of it is becoming better at training positive confidence in both of you. In defense of women, we generally aren’t that good at receiving compliments. Sometimes it’s easier to hear we’re wrong than to accept praise, for our horse or ourselves. We deflect with a joke or awkwardness. We are self-effacing to the point of dysfunction. When did confidence become as illusive as thigh gap? The seed that grows is the one we water, and the choice is yours. Reward the good, and for now, ignore the rest. Start with, “I’m a good rider!” Did anyone believe you? I’ve used the same mantra every ride for over 25 years and it’s inanely simple: I love my horse. I say it even if I’m on your horse. As soon as my seat lands in the saddle, I take a deep breath and say it. I say it every time I halt at X to begin a dressage test and every time things start to come apart. I say it twice if I’m working with a rescue. I say what’s in my heart before the first stride partly because there is still a horse-crazy girl inside, and partly because I am a professional and I’ve proven to myself time and again that it always gets better results. Thank you for what you wrote. Thank you for the reminder to speak what is in the heart. Growing up hearing mostly negative comments, switching to positive is sometimes a struggle and I never knew I might be passing on that negative to a horse I was riding. Horses are a life saver and I always want the horse to know the “love”. Great thoughts and I try hard to use these ideas each time I train or do a dog event. I start an agility run telling my dog how much I love them and thank them for ‘playing’ with me. I also always keep in mind that each run could be our last. You never know what the next moment holds and all that goes with that. Make each ride or run with your dog a loving positive one that you can always treasure. Living in the present, it is the one place we can choose attitude. I see that confidence in your dogs. EXCELLENT blog! And I will NEVER take up stamp collecting! My mantra somehow came from a goofy movie my husband loved: I think it was called Meatballs, about two summer camps. One was for the elite, one was for the goofball castoffs. They had a camp competition and the goofball camp leader (Bill Murray?) taught them to say “It just doesn’t matter” when they were feeling inferior. Works for just about everything. Thigh gap? Cracked me up. While I may never know what it is like to walk without the “swish, swish, swish” akin to corduroy or pantyhose, I will start practicing my mantra today, as soon as I go out to the barn to feed. I’ve got a few in mind; need to see which one fits best. Then, will make it a habit. I love this post! I had a TB whom I rescued, rehabbed and competed with… he taught me soooooo much about myself. He filled me up inside every day just by standing at the gate waiting for me to arrive. Every day and every night before I went to sleep, I sent him love vibes, up until he passed away last year at age 23. Thank you for reminding me to do that with all creatures! Many years ago I had a brilliant teacher who told me that I was so focused on what wasn’t right with my ride that I missed the one good stride, and so never learned the feel of it, and so couldn’t get another one. Since then my mantra is that I look for the good stride, in my horse, in my family, in myself. More good strides always follow the one. Perfect mantra, I love a good stride. I love the one good stride that changes everything. I thought I was the only one whose mom always reminded me to put on lipstick! Mine didn’t but I have heard it from so many. Maybe it is a city mom thing?? You really nailed it with this one. Thanks. 6. Up the phone Pole- down the foxhole we will go. I can’t tell you if it is helping yet, but I believe it will. Good luck with your goals, wonderful affirmations. This is great! Would you mind if I featured this as a guest blog on http://www.MyVirtualEventingCoach.com ? Please do, and thanks. I’ve been to your site before, very nice. This was very timely, I had a lovely ride this weekend, no objective other than to shed some of the Winter doldrums. The trails were bad, the rain setting in after weeks of unusually bitter cold weather (Chattanooga/Atlanta area) so I did not want to take a chance on a slip. Headed to an empty arena about 20 minutes away. I had read something recently about letting the horse just wander at first, warming as your body absorbed his movement. Understand this is a green off the track Arabian. I did just that, letting him set the tone, the tempo, the mood. IMaybe it was because I was thinking about staying in a positive mind, my sister is undergoing cancer surgery today so I was full of positive energy but it was spectacular! I was so happy for him and me! I have ridden in this arena on other horses (all Arabs) and never had them relax into the work as this time. I have been changing my approach in recent years and I have to say I wish I knew then what I think I know now just for the sake of the horses I rode! Interesting blog, sign me on! This particular one, I think, no, I KNOW, European women are fine with compliments, pretty OK with dishing them out too. Tell a Frenchwoman you love her jacket and she will be very pleased, explain how beautiful the stitching, say. In North America – ? No way (usually), the same compliment will get you, oh, this old thing, I’ve had it for years. Eeargh! North American women, ditto, more often very self-critical, cannot accept compliments. And, they do that exact same deal with their horses. Well, horses don’t mind read (although they come pretty close). And, with horses you have good deed to good pat (stroke or scratch by the withers is bette) is ten seconds; or else the horse doesn’t get the ‘connect’. Better to reward between fences, and yes! you can do this even mid-dressage test (which I’ve seen in Grand Prix levels even). And, if you’re schooling a horse, from brain studies I’ve been reading, it’s way better to ride something that’s come right for 30 seconds to a minute consisently from start time, THEN reward. Wonder if the same deal works with humans?! Great comment, I agree about the tie between jackets and horses, don’t like to admit it though… I think this quick reward thing is crucial, even if it’s a word or a small release on the rein. It’s why clicker training works.